German board developer congatec has developed its first SMARC 2.0 Computer-on-Module based on the 64bit NXP i.MX8 multi-core ARM processor family. The conga-SMX8 uses up to eight ARM Cortex-A53/A72 cores (2x A72 + 4x A53 + 2x M4F) for ultra-low-power embedded computer designs, offering the recent best-in-class ARM processor with excellent performance, flexible graphics and numerous embedded features for all kind of IIoT applications. 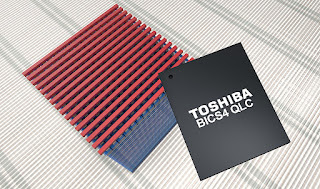 The module supports high-performance multi-core computing along with extended graphics capabilities for up to three independent 1080p displays or a single 4K screen. Further benefits of this native industrial-grade platform include hardware-based real-time and hypervisor support along with broad scalability as well as resistance against harsh environments and extended temperature ranges. 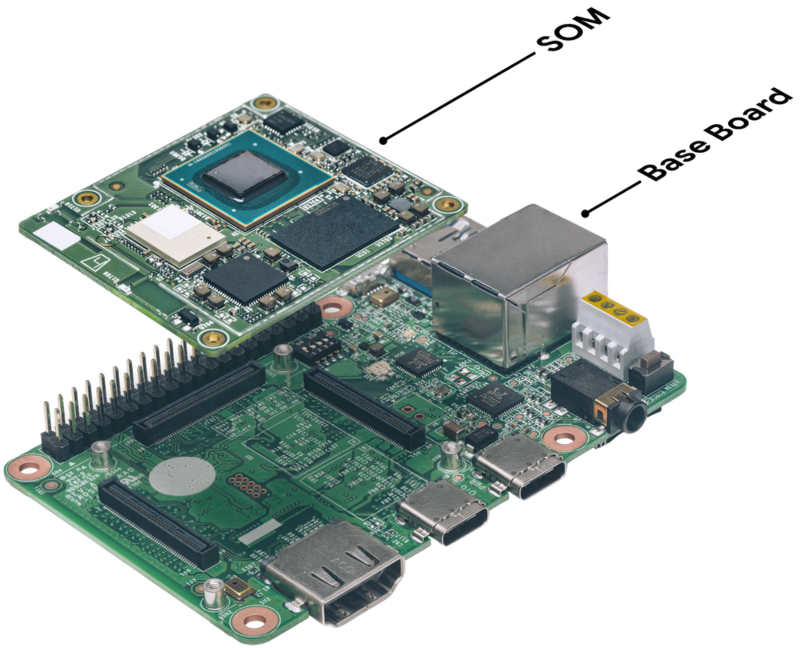 The SMARC 2.0 modules include hardware based virtualization and resource partitioning for stationary and mobile industrial applications including real-time robotics and motion controls. The modules are qualified for the extended ambient temperature range from -40°C to +85°C and so can be used in fleet systems for commercial vehicles or infotainment applications in cabs, busses and trains as well as all the new electric and autonomous vehicles. "Due to the tremendous increase in performance, functionality and connectivity of ARM architectures, ARM based Computer-on-Modules gain significantly more importance and acceptance, as they reduce the overall system design costs for hardware and software and enable faster time to market for the final end application," said Martin Danzer, Director Product Management at congatec. 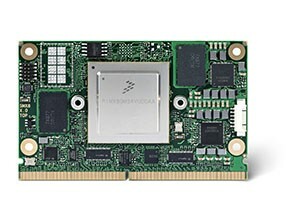 "Our SMARC 2.0 modules are application-ready sub systems that come with a comprehensive ecosystem such as ready-to-go boot loader implementation, pre-qualified Linux and Android BSPs and fully featured evaluation carrier boards as well as personal integration support and a broad range of individually selectable technical services to significantly simplify the integration of this new i.MX8 processor for our customers." The module supports up to 8 GByte of LPDDR4 MLC or pseudo SLC memory and up to 64 GByte of non-volatile memory, with 2x GbE including optional IEEE1588 compliant precision clock synchronization, up to 6x USB including 1x USB 3.1, up to 2x PCIe Gen 3.0, 1x SATA 3.0, 2x CAN bus, 4x UART as well as an optional onboard Wi-Fi/Bluetooth module with Wi-Fi 802.11 b/g/n and BLE. Up to 3 displays can be connected via HDMI 2.0 with HDCP 2.2, 2x LVDS and 1x eDP 1.4. For video cameras, the modules support 2 MIPI CSI-2 video inputs. Software support includes U-Boot and complete Board Support Packages for Linux, Yocto and Android. The modules will be available in series production in time with the production launch of the new i.MX8 processor family by end of this year. The US Department of Homeland Security (DHS) has alleged that Russian hackers, working for a state-owned group previously identified as Dragonfly or Energetic Bear, have breached the control rooms of hundreds of electric utilities in the country. This is driving signficant interest in blockchain and distributed ledger technology for the Industrial Internet of Things. Silicon Valley-based blockchain specialist Xage Security has raised $12m from investors including General Electric to further develop a blockchain-protected security fabric that uses multi-factor authentication and frequently rotates credentials to provide a tamperproof record of access control. As a result of the hacking the North American Electric Reliability Corporation (NERC), the body charged with ensuring the reliability and security of the electrical grid, has extended their NERC-CIP-003 standard to reaffirm the need for role-based access control in the field, such as changing default device passwords, enforcing password complexity, and rotating passwords. The hackers gained access to the utilities’ SCADA networks, which were supposedly ‘air gapped’ or securely isolated, by first compromising the networks of thousands of vendors and suppliers that had special access to the utilities’ systems to remotely complete service tasks, such as updating software and running diagnostics. These SCADA networks control the bulk electric power system and, if compromised, could potentially result in power disruptions or blackouts. The hackers used conventional means, such as spear-phishing emails, to collect employee passwords and gain access to vendor networks, the majority of which lacked sufficient cybersecurity protections. Xage points to the use of a distributed secure ledger to secure critical access control and proactively protect against these credential leakage attacks throughout the information chain. This ensures that access logs and stolen credentials cannot be utilized or concealed by malicious actors. Xage’s systemic tamperproofing furthermore includes fingerprinting technology, which detects unauthorized changes and isolates compromised devices to prevent contagion from spreading. Japan's largest software publisher and distributor, Sourcenext, is expanding into consumer electronics and IoT devices through a dedicated product development initiative. Sourcenext is building on more than twenty years of software publishing experience, with a roster of global companies who turn to them as a trusted partner to execute successful product launches. The new expansion will produce the company's first consumer electronics device for the US and other markets, set to launch later this year. Sourcenext has helped OEMs such as Fitbit and Dropbox bring products to the Japanese market through localization, marketing, distribution and customer support. The product development capability will use this understanding of consumer experience to create devices for the Internet of Things. "Our goal has always been the same. We want to bring happiness and excitement to people across the globe through amazingly simple, useful, and affordable products," said Noriyuki Matsuda, CEO and founder of Sourcenext. "We're excited to have expanded into the consumer electronics space, to begin creating useful devices that can be integrated into everyday life. Our first device will help to connect people of all backgrounds through an instant, open line of communication." Hailo, an Israeli developer of a proprietary chip technology for deep learning on edge devices, is targetting technology and business partners in Japan and South Korea. The company, established in early 2017, emerged out of stealth mode in June and announced that it had completed $12.5 million Series A funding round that will help the startup further develop its deep learning microprocessor, which will deliver datacentre processing capacity to edge devices. This latest funding round brings the total raised to date by the Tel Aviv-based company to $16 million. 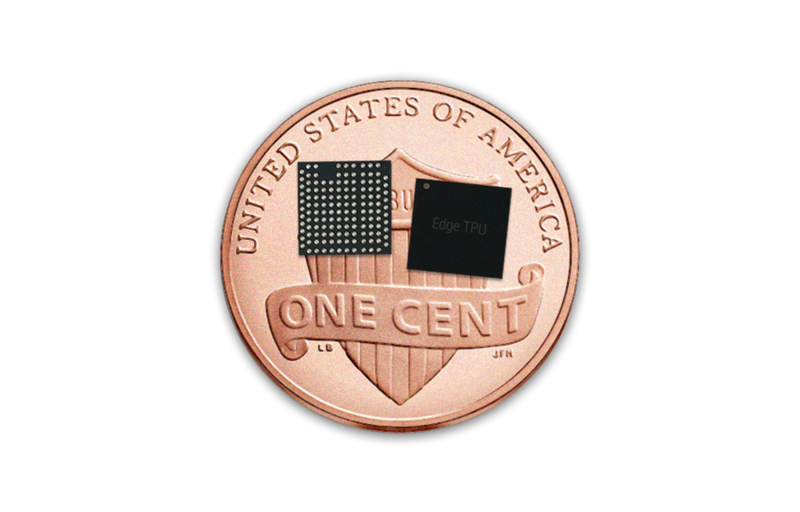 Initial samples of the deep learning processor are expected early in 2019 and will be able to run embedded AI applications on edge devices that are installed in autonomous vehicles, drones, and smart home appliances such as personal assistants, smart cameras and smart TVs, alongside IoT, AR and VR platforms, wearables and security products. This is one reason why the company is targeting the automotive industry for advanced driver assistance systems (ADAS) and autonomous driving applications that require sensing and processing of the environment. According to IC Insights, ICs used in automobiles and other vehicles are expected to generate global sales of $42.9 billion in 2021, compared to $22.9 billion in 2016. Existing general-purpose processor infrastructure cannot run compute-intensive deep learning algorithms necessary for these applications. Honeywell is spinning out its Honeywell Homes business into a $4.5bn separate venture called Resideo. This will also include the ADI global distribution businesses by the end of 2018, creating a significant new player in the Internet of Things (IoT). Honeywell will license its brand to Resideo under a long-term agreement for use in its home and security hardware and software solutions for all channels. Honeywell has had the potential to be a major player in the consumer IoT but has struggled to define a strategy, hence the spin out into a company that sounds somewhat like 'residual', or left over. It already has 30 million installed sensors generating more than 250 billion data transmissions each year. The Connected Home operation uses Microsoft Azure cloud services. Honeywell Home and Building Technologies (HBT) has over 38,000 employees with products, software and technologies found in more than 150 million homes and 10 million buildings worldwide. Resideo will have approximately 13,000 staff. The Resideo network also includes more than 3,000 distributors and 1,200 original equipment manufacturers (OEMs), major retailers and online merchants. More than 4.7 million of Resideo's customers use connected devices in their homes, which provide them app-based access to controls, monitoring and alerts. The network also includes more than 110,000 contractors, who are an integral part of Resideo's sales and go-to-market strategies. As an independent company, Resideo will support their growth by investing in sales and technical training, improving channel partner marketing and related programs to enhance their ability to meet the needs of homeowners. "The home is the biggest investment most of us will ever make – the place where we create a lifetime of memories," said Mike Nefkens, president and CEO of Honeywell Homes, the business that will become Resideo. "Because the home is a centerpiece of our lives, we expect it to be secure, comfortable and safe at all times. Resideo builds on Honeywell's strength in providing the world's best solutions to help people to live more productive, comfortable and safer lives. And because smart home choices can be truly overwhelming, our mission is to provide consumers with integrated, simple solutions for today's connected home." T-Mobile has launched a cellular Narrowband Internet of Things (NB-IoT) service across the US by using the guardband of existing 4G spectrum links. Built on the 3GPP standard, NB-IoT is a low power, wide area network (LPWAN) LTE-Advanced technology that provides a pathway to 5G IoT and offers many comparable benefits like low power usage, long battery life and low device cost. T-Mobile was the first to trial NB-IoT in the US last year. Putting the NB-IoT channels in the guard bands of existing services allows T-Mobile can use existing spectrum resources most efficiently, and IoT applications don’t have to compete with other data traffic for network resources. T-Mobile worked with Ericsson, Nokia and Qualcomm Technologies to deploy nationwide NB-IoT, laying the foundation for the 5G future and giving partners and customers peace of mind that their solutions are future proof. T-Mobile’s NB-IoT plan costs just $6 a year – one tenth of Verizon’s Cat-M plans, it says – for up to 12 MB per connected device, and several NB-IoT modules based on Qualcomm MDM9206 LTE IoT modem are certified for use on T-Mobile’s network. The plan includes 10 single-packet transactions per hour at up to 64 Kbps, up to 12 MB. For applications that require more bandwidth and voice, T-Mobile also offers Cat-1 IoT Access Packs. 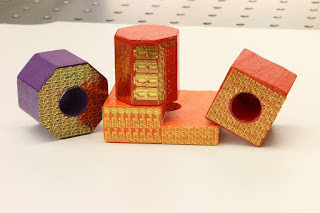 Researchers at Purdue University and the University of Virginia have developed a new fabrication method that makes thin-film electronic circuits peelable from a surface, enabling stickers to add connectivty to the Internet of Things (IoT). The technique not only eliminates several manufacturing steps and the associated costs, but also allows any object to sense its environment or be controlled through the sticker. A YouTube video is available at https://youtu.be/8tNrPVi4OGg. Lee's transfer printing process cuts down manufacturing costs by using a single wafer to build a nearly infinite number of thin films holding electronic circuits. Instead of high temperatures and chemicals, the film can peel off at room temperature with water. A ductile metal layer, such as nickel, inserted between the electronic film and the silicon wafer, makes the peeling possible in water. These thin-film electronics can then be trimmed and pasted onto any surface. Putting one of the stickers on a flower pot, for example, made that flower pot capable of sensing temperature changes that could affect the plant's growth. Telit hs connected its deviceWISE IoT platform to IBM's Watson IoT platform. The combination of IBM's Watson IoT platform and Telit's deviceWISE gives manufacturers and other industrial businesses powerful new options for near-instant onboarding of industrial products, systems and assets, and applying advanced analytics, artificial intelligence and application development. deviceWISE streamlines the process of integrating industrial IoT (IIoT) devices and applications by providing a large library of native device drivers and industrial protocols. This eliminates the need for custom coding and other expensive, time-consuming integration tasks, so businesses can add value to their IIoT bottom line and realize competitive benefits even faster. The IBM Watson IoT platform, available on the IBM Cloud, brings real-time insights to IoT data and powerful Artificial Intelligence (AI)-based capabilities including Cognitive Analysis, Machine Learning, and Natural Language Processing. The man that revitalised Plessey Semiconductors nearly a decade ago has left the company abruptly in a shock move. Michael LeGoff used the fab at Plymouth, which had been used by X-Fab, to build LEDs using a gallium nitride of silicon process. That led to interest in migh power micro-LED engines that coul dbe used for augmented reality smart glasses. He will carry on for a short transition period. ADLINK has launched a COM Express Type 6 module that it claims is the first to support both the Xeon and high end Core i7 processors. Back inApril congatec launched the first type 6 board to support the 6-core Cofee Lake Core processors. The Express-CF modules use the Intel Xeon and 8th generation Intel Core processors (formerly Coffee Lake H) with up to 6 cores (Hexa) and up to 48GB memory capacity for applications such as image processing and analysis, 4K high speed video encoding and streaming, medical ultra sound and predictive traffic analysis. The Express-CF modules are the first to support both the 8th generation Intel Core processor family and Intel Xeon processor E-2100M family. The 6-core Core i7 processors support up to 12 threads and a frequency boost of up to 4.4 GHz. Compared to earlier mobile quad-core Xeon and Core i7 CPUs, the additional two cores of the new Hexa-core CPUs results in more than 25% performance boost at no significant cost increase. mechanical specifications. Modules equipped with the Xeon Hexa-core processor support both ECC and non-ECC SODIMMs. With integrated Intel UHD Graphics 630, the Express-CF supports up to three independent 4K displays via DisplayPort, HDMI, DVI and LVDS. ADLINK also offers either eDP or analog VGA as build options by customer request. Additionally, the Express-CF supports Intel's Optane memory and NVMe SSDs through high speed PCIe x4 Gen3 interfaces, allowing applications access to the highest speed storage solutions on the market today. Over the last two years, the LPWA market has evolved from a chaotic rivalry between 15 wireless formats into a clear market with winners and losers. In their latest report, Mobile Experts lays out the two major market areas that are emerging: LoRa and NB-IoT. This will drive shipments to 700m by 2022. "The most important distinction between different LPWA formats is not the technology. The business model has emerged as the most important way to segment the market," said Principal Analyst Joe Madden. "RF performance aside, some enterprises insist on control over their own networks. This is extremely beneficial to LoRa, along with a few other unlicensed technologies. LTE-M and NB-IoT benefit from basic choice to use an operator-based network. For customers that are willing to use a widespread network, the superior link budget of NB-IoT comes into play." The report also looks at how 5G IoT will come into play with LPWA applications, and forecasts the prospects for 5G IoT devices to add value where NB-IoT and LoRa devices are already entrenched. "A few years ago, people began latching on to the idea of an interconnected society, referring to it as the 'Internet of Everything' in which a single network allows very diverse sensors and devices to interact with each other. In fact, we don't see that happening. Many smart applications have emerged, but they are using different networks, because customers are making independent decisions on network technology and devices—meaning the markets are growing more vertically instead of horizontally," said Madden. IoT Low Power Wireless Networks and 5G 2019-2029. The study looks at LPWAN and related technologies – including wireless local area networks and 5G as comparisons. By volume, licensed communication technologies such as NB-IoT and LTE will have more connections than unlicensed versions (such asLoRa and Sigfox) by 2021, despite entering the sector later.